NetherRealm's Ed Boon thinks that the lack of a game rating system back in 1992 meant that the amount of violence in Mortal Kombat took people by surprise. The violence and gore of the original Mortal Kombat prompted a lot of discussion about the terrible harm might it might be doing to children. But rather than be annoyed by this attitude, series co-creator Ed Boon says that he can actually understand where the critics were coming from. Boon said that he wouldn't want his ten year old son playing a game like Mortal Kombat. Midway hadn't made the game with children in mind, he said, but rather for older gamers who were looking for more mature content in the games they played. Boon thought that the lack of a rating system at the time was a contributing factor to the outcry, as it was difficult for parents to know what games might be inappropriate for their children to play. 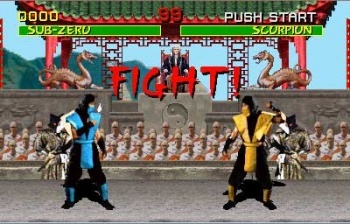 The popularity of Mortal Kombat was actually one of the factors that led to the creation of the ESRB, so essentially it helped fixed the problem it caused. The amount of violence in videogames has remained a hot topic ever since however, as the case put before the US Supreme Court earlier this month, which - if successful - will give states the power to make the sale of violent videogames to minors illegal, shows. The new Mortal Kombat, which is also not appropriate for ten year olds, comes out for Xbox 360 and PS3 early next year.